Obama refuses to address the legal question about his Constitutional Eligibility to be sitting in the Oval Office. He has never conclusively proven to any controlling legal authority that he is a "natural born Citizen" of the USA to "constitutional standards" as is constitutionally required to be eligible for the office of President and Commander-in-Chief of the military. Many people do not know there is a difference between a "Citizen" and a "natural born Citizen." Being a "Citizen" of any type, whether an Article II natural born Citizen, 14th Amendment born Citizen, 14th Amendment naturalized Citizen, or statutory born Citizen under a Congressional Act, means you are a member of the society and entitled to all its rights and privileges. But under our Constitution to serve in the singular most powerful office in our government, that is to be the President and Commander-in-Chief of our military under our Article II, Section 1, Clause 5, of our Constitution you need to be a "natural born Citizen." Being a "natural born Citizen" cannot be conveyed by any laws of man and can only be conveyed by the facts of nature at the time of your birth and circumstances of your birth, i.e., being born in the country to two citizens of the country. (Legal Treatise "The Law of Nations - Principles of Natural Law" Section 212 by E. Vattel 1758, SCOTUS Decision Venus 1814, SCOTUS Decision Minor v Happersett 1874). 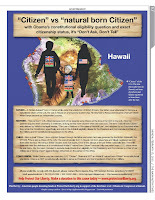 This new advertorial is designed to help educate the public pictorially about the fact that Obama is NOT a Natural Born Citizen of the USA and thus is ineligible under our Constitution to the office he sits in. Obama is a Usurper who was allowed to be put there by millions in foreign money, a corruptly led Congress, and an enabling main stream media. This is a constitutional crisis and a national security concern that must be addressed by the U.S. Supreme Court or our Republic, Constitution, and Liberties are in great danger. Obama is hiding the truth from the People with an enabling media and is refusing to answer questions on his Article II constitutional eligibility to be President and Commander in Chief of the military. In fact he said last week people should not even question him about it. With him his constitutional eligibility and exact citizenship status policy is, "Don't Ask, Don't Tell" ... and hope it goes away. Well it is not going away. This is a constitutionally based legal eligibility question. Obama's election fraud and cover up will be revealed. The truth and the Constitution will win the day in the end and We the People will constitutionally remove the Usurper from his illegally obtained office. ~Recent filing to the federal court by the defendants Obama & Congress, et al, to delay filing their Opposition Brief. This is yet another example of the defense,, which has vast resources and numerous well paid lawyers at their disposal, continually stalling since the case was filed very early in the morning on Inauguration Day, 20 Jan 2009 against the then President-Elect Obama. As to available resources an manpower, this is a David vs. Goliath type case. And it appears that Goliath is chicken and doesn't want this case heard on the merits in court. ~Other topics and questions by the host and/or the listening audience call-ins. Listen to the complete show on podcast. The full show ran from 10:00 to 11:30 p.m. The first 1/2 hour segment is on the recent revelations about the falsification of data by U.N. funded scientists to fool the world that global warming is happening, that it is a crisis, and that it is caused by the activities of man. Definitely worth listening to. The 2nd and 3rd 1/2 hour segments feature Atty Apuzzo and CDR Kerchner. That 2nd segment starts about 28 minutes into the podcast. You may obtain a copy of my brief at this site . We will be posting here the defendants' opposition brief after it is filed along with my reply brief. I hope that many of you will take the time to read these briefs so that you may learn first hand what the legal issues and arguments are regarding whether the plaintiffs have standing and/or are precluded by the political question doctrine to challenge Obama on his eligibility to be President and Commander in Chief, and what the meaning of an Article II “natural born Citizen” is. Obama is hiding the truth from the People with an enabling media and is refusing to answer questions on his Article II constitutional eligibility to be President and Commander in Chief of the military. In fact he said last week people should not even question him about it. With him his exact citizenship status policy is, "don't ask, don't tell" and hope it goes away. Well it is not going away. This is a constitutionally based legal eligibility question. Obama's election fraud and cover up will be revealed. The truth and the Constitution will win the day in the end and We the People will constitutionally remove the Usurper from his illegally obtained office. Glenn ... Are You Listening? A very large percentage, probably 75%+, of the "912 Project" folks and "Tea Party" folks believe that Obama is NOT constitutionally eligible to be the President or certainly at least want the matter fully and thoroughly discussed in public and investigated by the courts and want Obama's hidden and sealed early life original paper records unsealed and revealed. 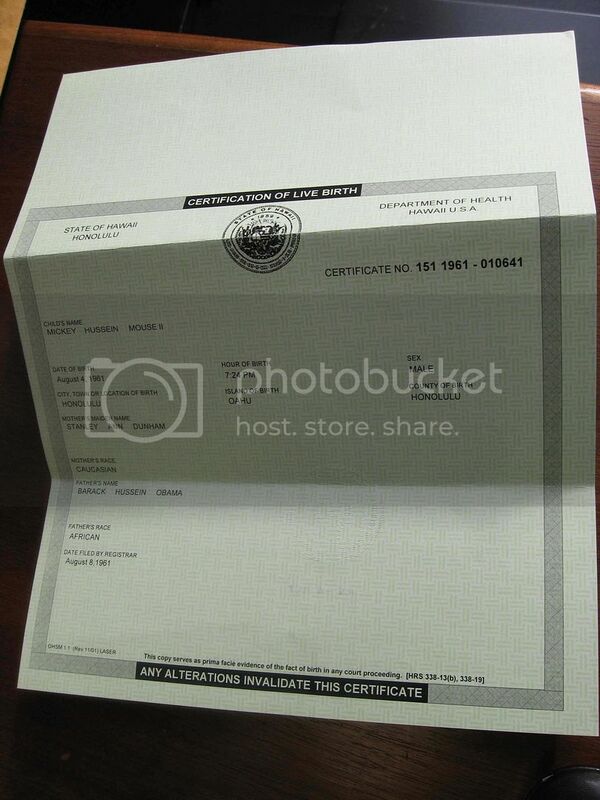 Photoshop'd digital images on the internet are legal proof of nothing. And then there is the issue for the 1961 newspaper ads you tout as infallible proof. They were not placed directly by family members but instead generated by the Hawaiian Health Department upon any birth registration in their system, no matter what the source. Have you heard of the GIGO effect for birth registration systems. 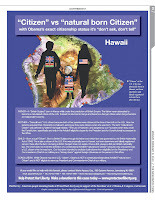 Falsified birth registration records in yields false record reports in Hawaiian newspapers out. This was likely done by the grandmother simply to get her newborn grandson U.S. citizenship, despite where he might have really been born or not. Births could be registered as having occurred in Hawaii with a simple mail-in form filled out by one family member alleging the birth occurred "at home" with no independent witnesses. No one back then in Hawaii checked the credibility of the facts placed on that form. No one at the time was thinking 45 years into the future that this child might someday be a candidate for President and thus someone would question and check the underlying credibility of the facts of the false birth registration in Hawaii after relatives accounts in Kenya surfaced saying that he was born there instead and when newspaper accounts in Kenya reported that Obama was Kenyan born. No one in 1961 ever thought this document fraud would be uncovered. Like much of Obama's early life background it was a decision of expediency by the family for that moment in time. Simply getting the highly valued basic U.S. citizenship for the child is the goal of any falsified birth registration in the U.S., today as well as back then. Simple as that. Listen to this discussion on the Bill Cunningham radio show. Glenn, are you giving these people who have supported you a voice? Or are you silencing their voices from getting on the air? If you don't believe me, take a survey of them. Ask them on the air simply, "Do you believe that Obama is a "natural born Citizen" of the USA to constitutional standards?" And then put the responders and callers on the air to answer you and discuss it with you. But listen to them also and don't just immediately shout them down and ridicule them at first breath. Not only does Obama have questionable constitutional eligibility because of questions as to where Obama may or may not have been born, but in addition to that and even more importantly it is because Obama's father was NOT a Citizen of the USA, or ever an immigrant to the USA. We are a nation of immigrants and Obama's father was not one of them. Obama was not the son of an immigrant as was falsely stated during his inauguration. The American people were lied to by Obama through the whole campaign enabled by a complicit media. Obama's father was not even a permanent resident of the USA. Obama was born with multiple citizenship and more specifically, he had allegiance to Great Britain at birth via his British Subject father. Obama was thus born a British Subject too under the British Nationality Act of 1948. Obama does not dispute this but won't allow a full public discussion or debate on the impact of this in Congress or in the courts. How can a British Subject be considered a "natural born Citizen" of the USA to "constitutional standards". The Democratically controlled Congress investigated McCain's citizenship status when asked by doubters of McCain but not Obama's when asked by doubters of Obama's. Have you ever thoroughly investigated why? Progressives have deceived many Americans with rewriting history and the meaning of words. But have they fooled you too on the meaning of the unique legal term of art "natural born Citizen" in Article II of our Constitution? Or do you have your mind totally closed to the real truth for some reason known only to you? Or have threats been made against you and your family and/or your career if you tell the real truth of the meaning and intent of Article II, Section I, Clause 5 of our Constitution as it applies to Obama. So Glenn, you believe that Obama is a Citizen. You said so on the air when you call doubters crazy and used Saul Alinsky Rules for Radicals #5 "ridicule tactics" on your own listeners. Are you being deliberating deceptive? Glenn, the real question is, do you believe Obama is a "natural born Citizen" as is required in Article II of the Constitution and as the framers of the Constitution understood that legal term of art to mean in 1789 and which has been affirmed since by at least four U.S. Supreme Court decisions which have never been overturned or reversed by any subsequent Supreme Court decision. The progressives have covered up these cases up or obfuscated their meaning in discussing "natural born Citizen" on the internet. That is function of Obama's "blog squads", to deceive people. 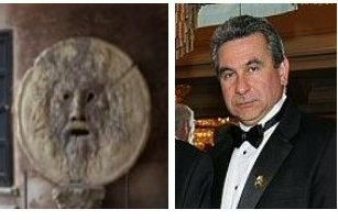 They have filled Wiki and other sites with false and misleading information and redefined the meaning of words and historic legal terms of art in an attempt to rewrite history on the internet. But the truth is there in the cases for every intellectually honest person to read and understand. You can find those four cases and other relevant cases discussed in this excellent legal essay on "natural born Citizenship" by Mario Apuzzo, Esq. I suggest you do some more research on the founders and framers intent for the "eligibility clause" to be President and Commander in Chief of our military in Article II, to constitutional standards. Research who put that unique legal term of art into Section 1, Clause 5 of Article II and why! Obama had to repeat the Oath of Office a second time because it was not to "constitutional standards" the first time. Constitutional standards are far more important than popular opinion standards, especially when it comes to who can be President and command our military and who will reliably provide for the protection of our liberties and the national security of our nation. Read the above link and the cited Supreme Court cases. Dissect the Apuzzo essay and cases he cites. Analyze them. Then present what you learn by doing an explanation of each case on your radio and TV shows if you have the courage to do so. Or have you been scared off doing it with threats to you and your family? Or does your fear of damage to your career trump your love of the U.S. Constitution and protection of the future of our Constitutional Republic for your kids and grandkids to come? Are you in denial on this constitutional issue? Are you doing all that you can to expose the full truth about Obama and his early life and hidden and sealed records? Only you looking into the mirror each morning know the answer to that question. There are no heroes. Only ordinary people living in heroic times. How will you be remembered in this historic time and calling to preserve our liberty? Many have been called before and many in standing up to protect our liberty have perished or lost everything, except liberty. Where are you standing regarding the "elephant in the room" question of the first half of this century and the progressives' hail-Mary pass to their Socialist/Marxist America goal line with getting Obama elected even though he is not constitutionally eligible? Will you let it stand? Will you work to tell the real truth and discuss openly Obama's birth Citizenship status and questions on the air or will you allow the progressives to silence you as well, as the rest of us have been silenced who do not have the microphone you do? We ask of you a full, thorough, and fair public "on air" investigation, discussion, and debate with your listeners on the question of Obama's birth citizenship status to "constitutional standards" as it applies to Article II of our Constitution. Read again my previous open letter to you at this link for more information. 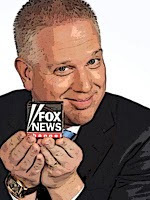 "An Open Letter to Glenn Beck"
I challenge you to debate Attorney Mario Apuzzo, a constitutional expert on Article II, on this subject on the air. If you choose to avoid that challenge, then little old me would be happy to meet with you in private or public to discuss this more fully. You can contact me via my website link which is below my signature.